Costco.comCostco’s website has a lot to offer, but it can be tricky to navigate. 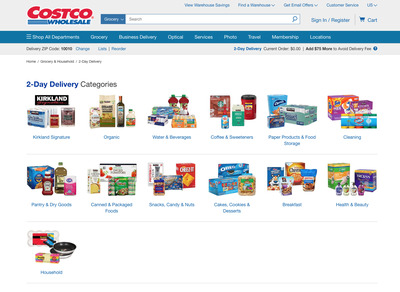 Costco and Boxed are both bulk retailers that sell pretty much everything. Boxed has been called the “Costco for millennials” because it’s an online-exclusive store with mobile ordering and speedy delivery. 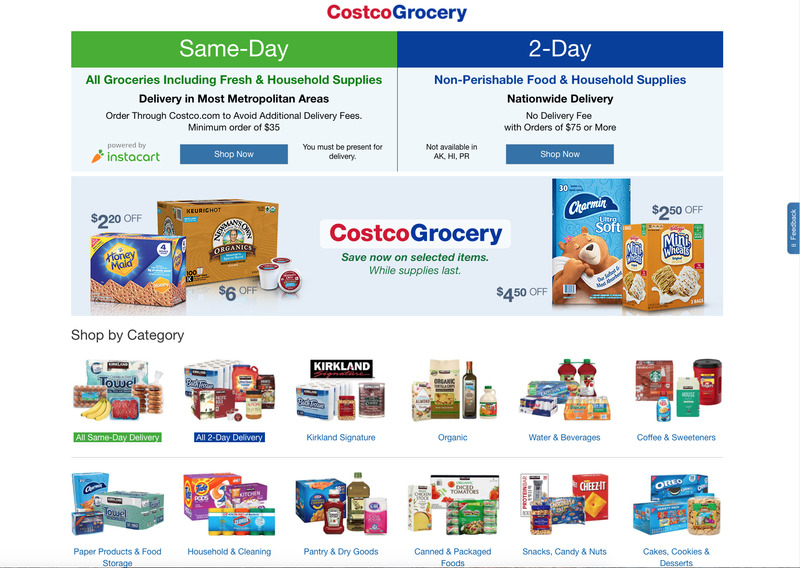 Costco also has an online store and mobile ordering, but its prices can be as much as 20% more there than in the physical warehouse stores. Costco shoppers can shop online without a membership, but a 5% surcharge is applied at checkout. The websites themselves have some obvious differences, and we found that one was much easier to use than the other. Costco and Boxed – the so-called “Costco for millennials” – sell everything and anything in bulk. 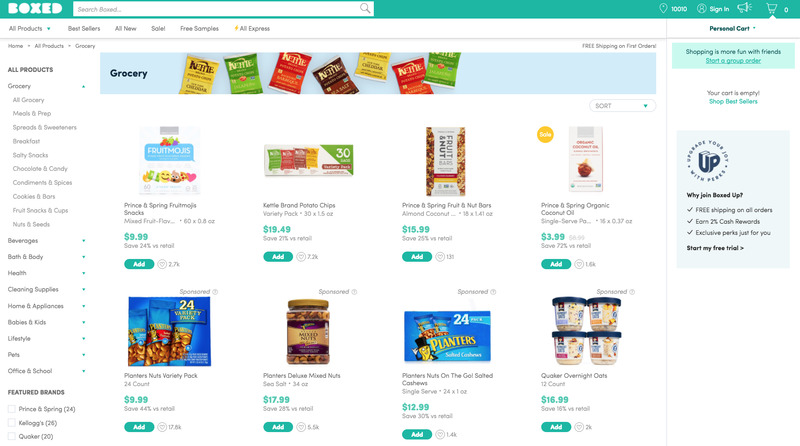 Unlike Costco, Boxed is digitally native. It has mobile ordering and one-to-three-day delivery. It also offers free two-day shipping if you spend more than $US49, and it doesn’t require a membership to make a purchase. 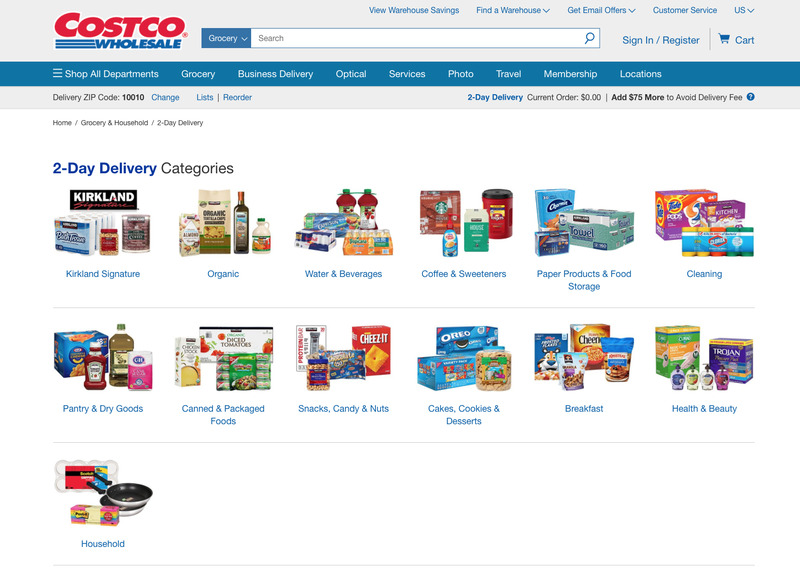 Costco has an online store in addition to its physical warehouses, but products across all categories tend to cost more online than in stores. 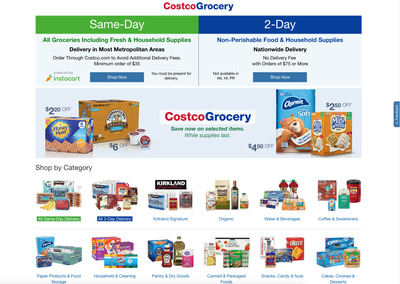 Though the website allows shoppers to order from Costco without paying for a $US60 annual membership, a 5% surcharge is applied at checkout. However, Costco has been taking some steps to reach more millennial shoppers, like offering two-day delivery through Costco Grocery and one-day delivery through a partnership with Instacart. One of the most clear differences between Costco and Boxed is that Boxed members don’t need to pay an annual fee to access the savings. 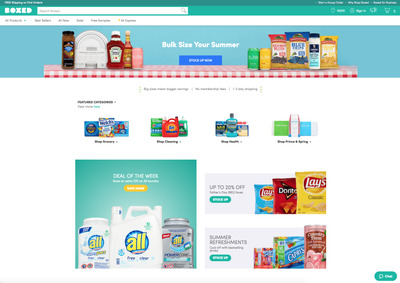 But the company did recently launch Boxed Up, a premium service that costs $US49 a year and provides shoppers with perks like free shipping on orders over $US20, 2% cashback rewards, and price matching with competitors. Costco was the first site I went to. 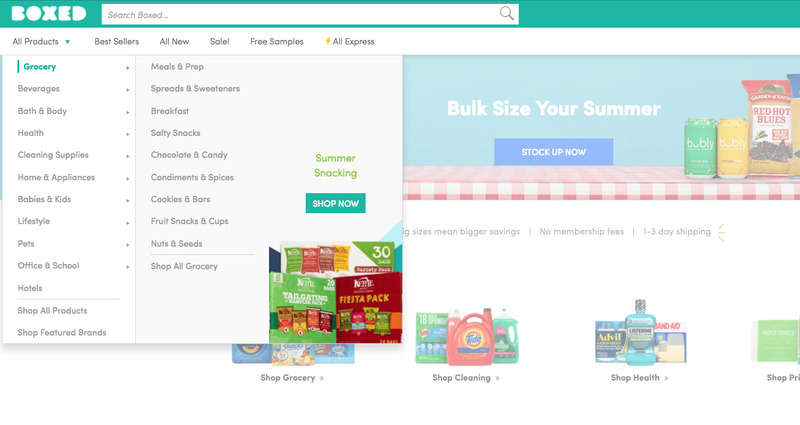 On the homepage were members-only savings deals, buyers’ picks, and a selection of different featured products in a variety of categories. It was hugely different from the Boxed homepage, which was very simple and sleek. Scrolling down on the Boxed homepage, there were links leading to more information about bow Boxed gives back to different causes. Costco had far more departments on its website, but it was cluttered and hard to navigate compared to Boxed. Boxed had a cleaner look. Though there weren’t quite as many categories, it was easy to find everything because the existing categories were pretty broad. 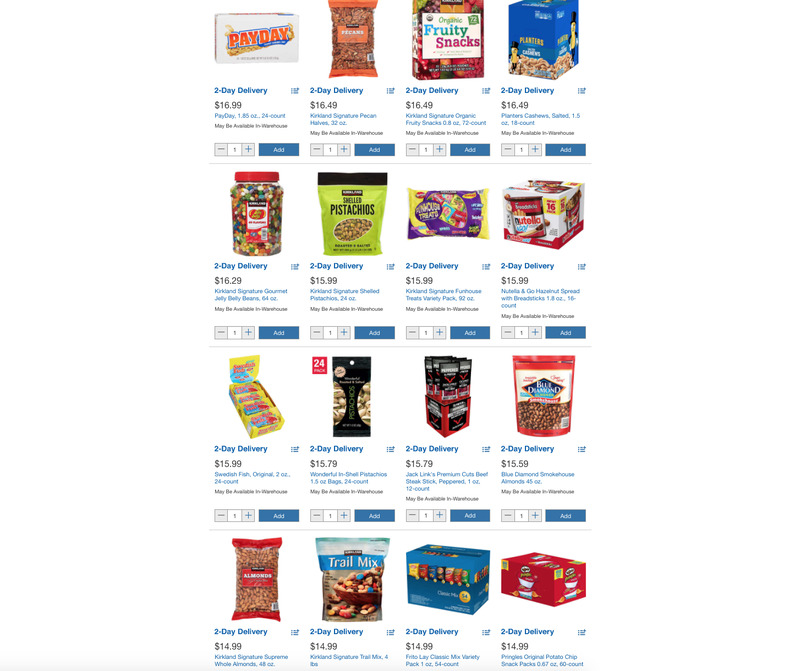 The grocery page on Costco’s site, for example, is divided into 18 further categories such as pantry goods, packaged goods, snacks, and cookies. There were a ton of categories, but they were all very broad. The Boxed grocery landing page is much more user-friendly. 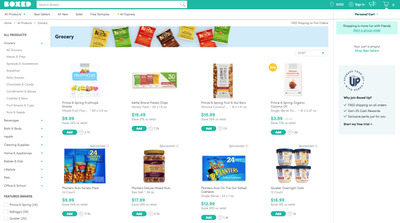 The homepage lists popular products, and on the lefthand side are categories like salty snacks, chocolate and candy, condiments and spices, and other more specific categories. 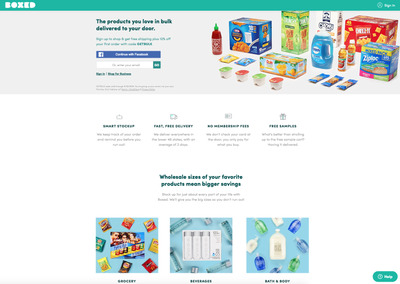 Products can also be sorted by brand on both websites, and both offer two-day delivery. Comparing prices isn’t an exact science. 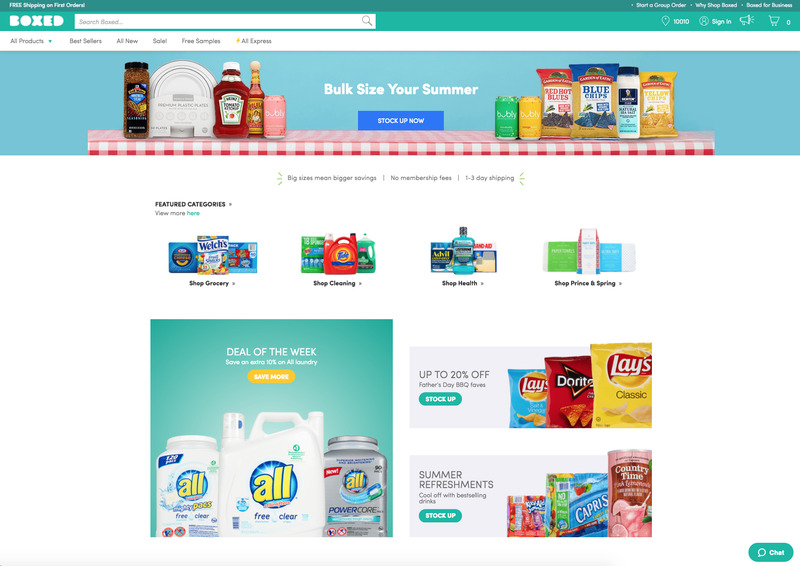 For example, both sites sold Tide laundry detergent. Boxed sold a 150 oz. package for $US19.99, and Costco sold a 200 oz. package for $US28.99. The price was higher, but you were getting more for what you paid. 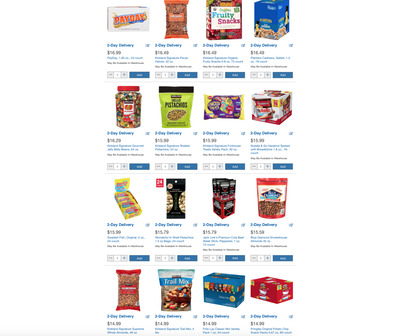 As for the snacks, the prices seemed to be a little bit higher throughout Costco’s site. Costco’s private label, Kirkland Signature, was an exception to this. Boxed also has a private label, called Prince & Spring, but it was almost always more expensive than Kirkland Signature for identical products. A 27 oz. 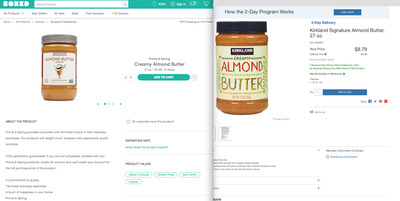 jar of almond butter from the brands’ respective private labels, for example, was $US3 more expensive from Boxed than from Costco. 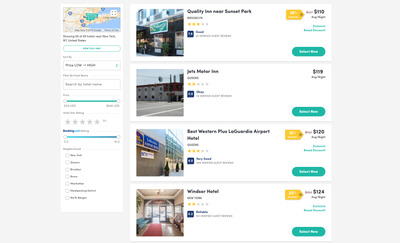 Both sites have a service for booking hotels, with prices typically starting around $US100 a night. Costco had more luxury hotels that surpassed $US700 a night, while the highest rates on Boxed were around $US600. But Boxed was much easier to navigate than Costco — you couldn’t even see hotel prices on Costco without entering a membership number. 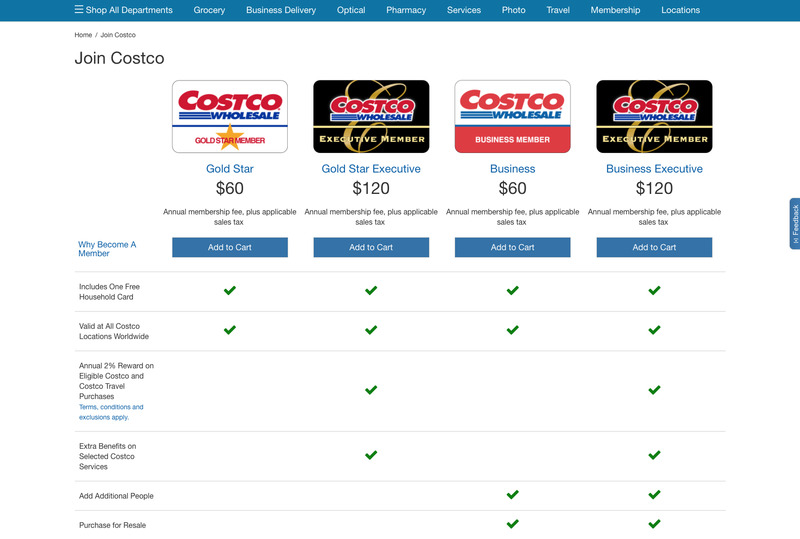 In fact, nothing could be purchased from Costco’s website without a membership, unless you’re willing to pay a 5% surcharge on your purchase. A membership starts at $US60 annually, with an executive membership costing $US120 annually. The executive membership offers perks like 2% cash back on purchases. The membership service at Boxed is optional. It’s structured similarly to Amazon Prime, offering free two-day shipping on orders over $US20, price matching with competitors, and 2% cash back on purchases. It costs $US49 annually. … and Boxed offers free two-day shipping for orders over $US49. With Boxed Up, shoppers only need to spend $US20 for free two-day shipping. On Boxed, you don’t have to spend as much to get the perks. 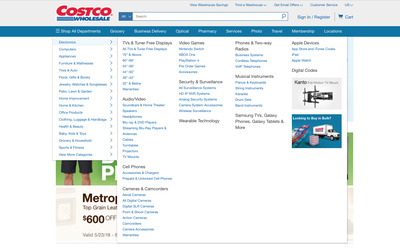 Overall, the Boxed website was much easier to use than the Costco website. 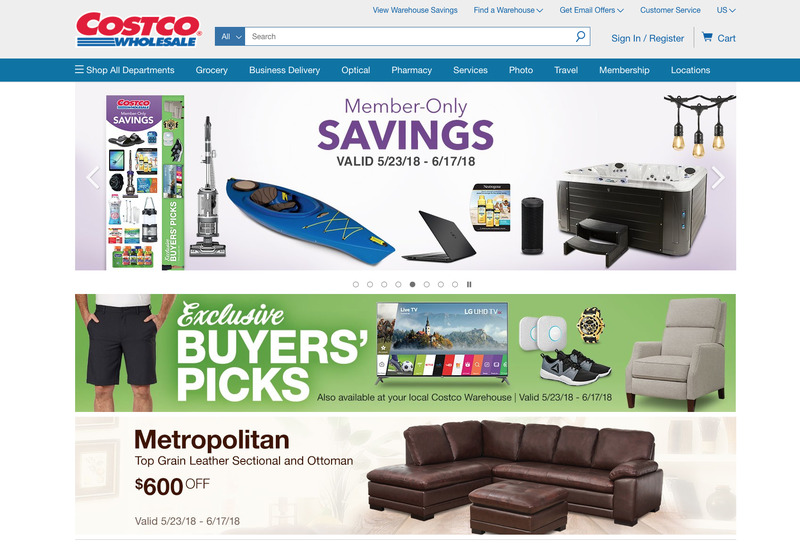 Even though the Costco website offered the same treasure-hunt experience that its stores do, it was difficult to browse for products, and the deals weren’t as good as in stores. 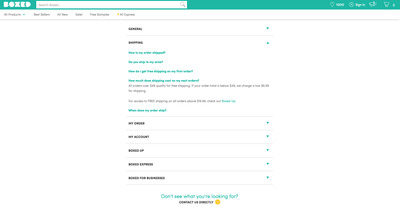 Boxed also makes it easier to get perks like free shipping and 2% cash back.